4" x 79" S/C Sanding Belt 100 Grit, 10 pk. Grizzly T26606 - 4" x 79" S/C Sanding Belt 100 Grit, 10 pk. 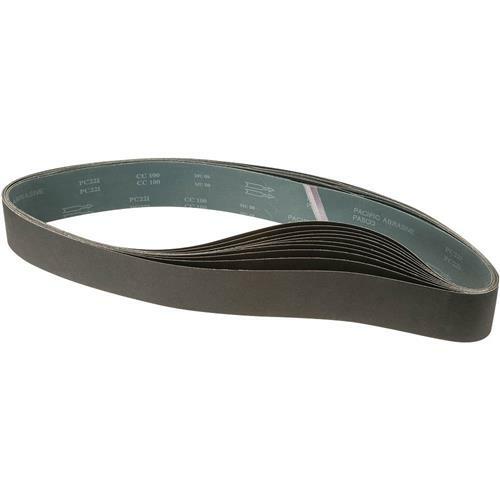 These metal polishing silicon carbide belts are typically used on non-ferrous products such as titanium, brass, and bronze. 4" x 79", 100 grit, waterproof.